You’ve heard of the G Pen and the G Pro (who hasn’t? ), but Grenco Science has a new portable vaporizer up their sleeve: the G Pen Elite vaporizer. While its profile is bulkier than its other portable counterparts, the Elite improves on the features the Pro and Pen were lacking in. Small, sleek and easy to use, the Elite may just be the best vaporizer under $200. What’s So Special About the G Pen Elite? The original G Pen was a major success for Grenco Science, and the Snoop Dogg vaporizer was a best-seller. A ceramic wick, high-powered heating coil and a robust tank system, the G Pen was a step in the right direction for portable vaporizers. But while they’re incredibly affordable, users were looking for more – a better version of the original Pen. And so, the Elite was born. The Elite has a coil-less ceramic chamber that allows for even heating from all directions. In just 30 seconds, this portable vaporizer will heat up to your desired temperature – that’s lightning fast. One of the biggest improvements to the Elite is the custom temperature feature. Now, you have the option to choose the ideal temperature for your material, with a range of 200-428F. And with the ability to heat up at rapid speeds, you enjoy delicious vapor and a rich aroma in less than a minute – and without burning your material. The Elite really is elite, with the biggest chamber capacity on the market: 0.75g. Just a quick note: the Elite is only compatible with ground material, and there’s no option (yet) to make this vaporizer compatible with liquids or waxes. Although bulkier than the original Pen and other portable models in Grenco’s lineup, the Elite is still compact with an ergonomic design. Engineered for portability, this vaporizer is comfortable to hold, and won’t easily slip out of your hand. A brilliant, bright display is located at the bottom of the vaporizer. 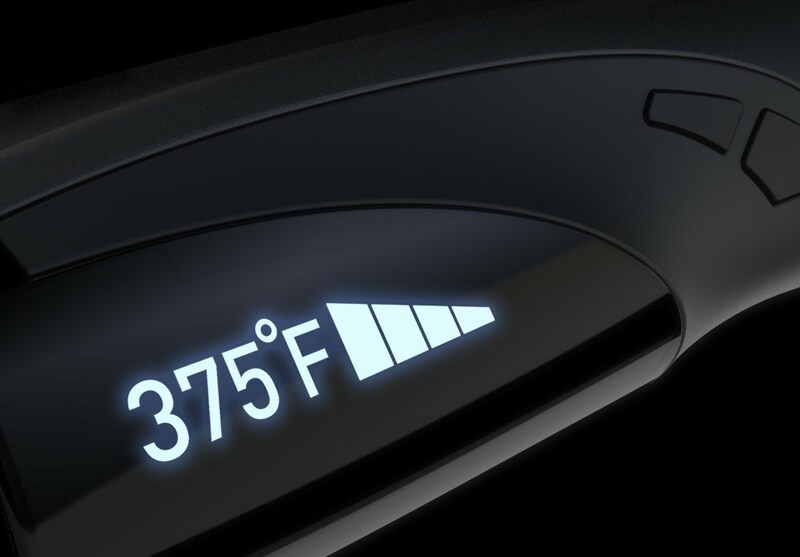 The sleek LED interface shows you the battery life and chamber temperature, so you can see – at a glance – how much time you have left, and whether you need to adjust the temperature. A simple power button sits on the front of the vaporizer, while the LED display is tucked away – out of plain sight. With a simple, sleek black design, the Elite is a great option if stealth is your top priority. Charge up the Elite (about 3 hours). Remove the mouthpiece. To do this, grip both sides with one hand, and lift one side up. Load the chamber with ground material. Make sure that it’s fully loaded. Press the front panel button 5 times in succession to turn on the vaporizer. Use the two buttons on the side of the device to choose your preferred temperature. Hold down the front power button for one second. Wait for the LED lights to indicate that your set temperature has been reached. When you’re done using the vaporizer, use the included small cleaning brush to clean out the chamber and mouthpiece. Doing this will remove any leftover debris or reside from your material. Tip: Use rubbing alcohol for a deeper clean, but wait until the chamber is fully dry before using it again. The Elite has clearly improved on a lot of the features that the original G Pen was lacking, but it also improves on other vaporizers from Grenco, including the G Pro. 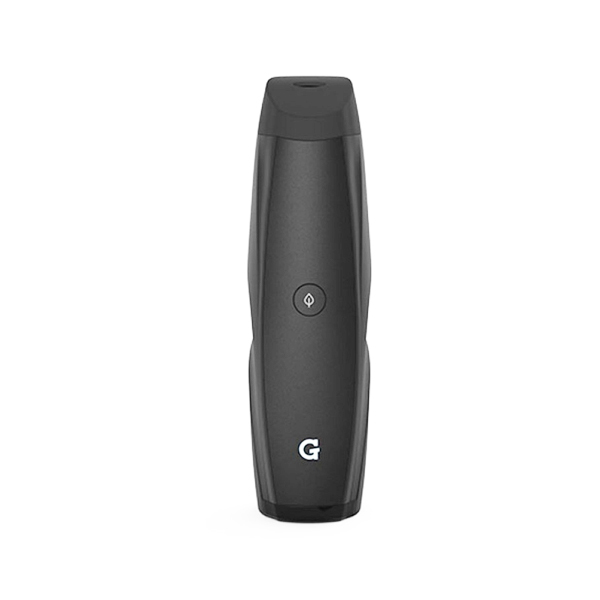 The G Pro is the vaporizer that’s in between the G Pen and the G Elite. It has a lot going for it, and you’ll find quite a few unique versions of this vaporizer, including DGK, Black Scale and Snoop Dogg BUSH versions. Like the Elite, the Pro is compatible with ground material. But that’s where the similarities end. Although better than other materials, the Pro has a stainless steel heating chamber rather than a ceramic one. Ceramic allows for even heating, but stainless steel isn’t quite up to par in this respect. While it’s great to have some options when it comes to temperature, you want precise control, so you can choose a setting that offers the most flavor and the best aroma for your specific material. The Elite gives you the option of choosing your own precise temperature, so you can heat the material to the appropriate level. And you’re offered a wide temperature range, which makes this vaporizer ideal for all ground material. The Pro’s design is a bit thinner, but it’s not ergonomically designed, so it’s not quite as comfortable to hold as the Elite. Both fit nicely in your pocket, which is certainly a bonus. One area where the Pro excels is price. You’ll spend more on the Elite, but you get a superior heating chamber and the ability to choose your preferred temperature. When comparing the two, the Elite is the clear winner. It improves on all the issues that the Pro and the Pen had, and it offers a better overall vaping experience. Is the G Pen Elite the Best Portable Vaporizer on the Market? The question on everyone’s mind: is this the best portable device you can buy? Maybe. The answer depends on your budget. 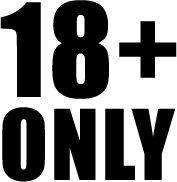 Buying a vaporizer is a personal experience, but if you’re looking for a device that offers even heating, temperature control, rapid heat-up times and a sleek, ergonomic design, the G Pen Elite is one of the best out there – period. And the great thing about the Elite is that it’s priced lower than some of the top-selling models, including the Pax 2 and Arizer Air. For under $170, you’ll get a portable vaporizer that’s on par with the top models on the market. Click here to try the G Pen Elite today. Why this vap has another Rating, fiferent from the others vaps, there’s no comparation. Sorted that out now, Thanks for the heads up Geerardo. Thank you The Dude, man for you which is the best vap in the market? Completely depends on your needs as the market has come a long way in the past year. For quality, Storz & Bickel make the best products so that is why The Mighty gets our highest ranking. If portability is your main concern, the new FireFly 2 is very strong and probably beats out the Pax 2 now. For multi-use, Haze Dual is a best buy and has a great warranty. We also like the Arizer Air, but we are space geeks and that thing is just cool.